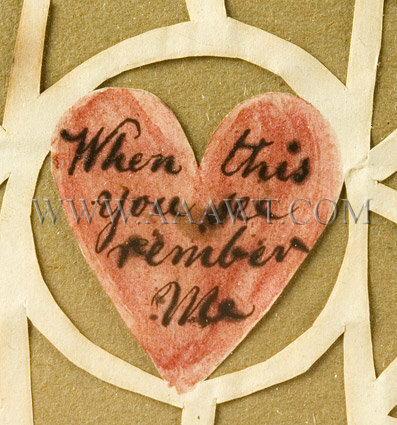 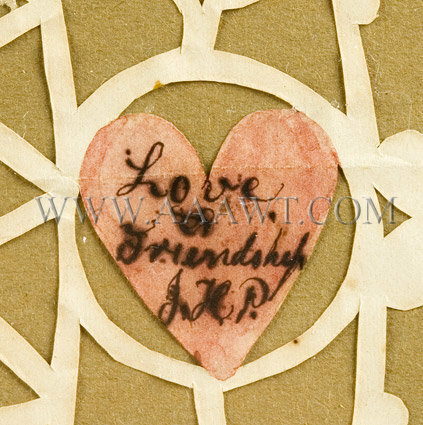 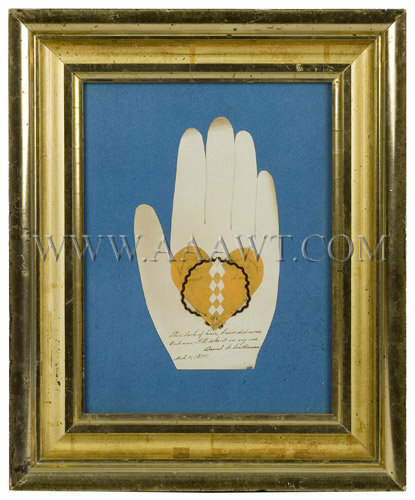 A love and friendship token to J. H. P.
Layered cut white and tan paper with watercolor and ink; mounted under glass within period gilt frame. 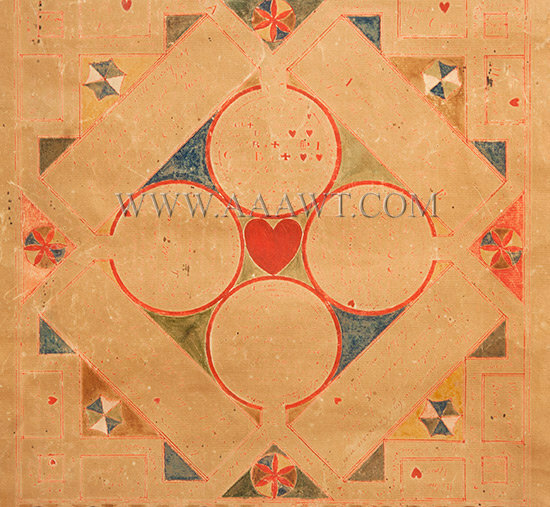 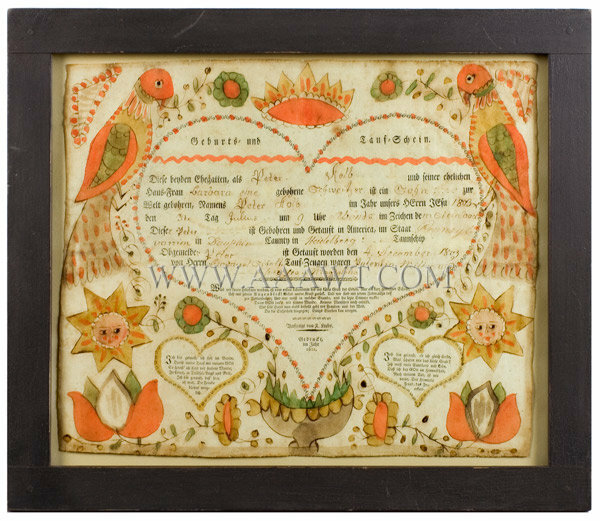 This love token is unusual for its large scale and the high quality of its allover cutwork designs which incorporate watercolor detailing on the blue birds and hearts, and a polychrome floral still-life at the center of the composition. 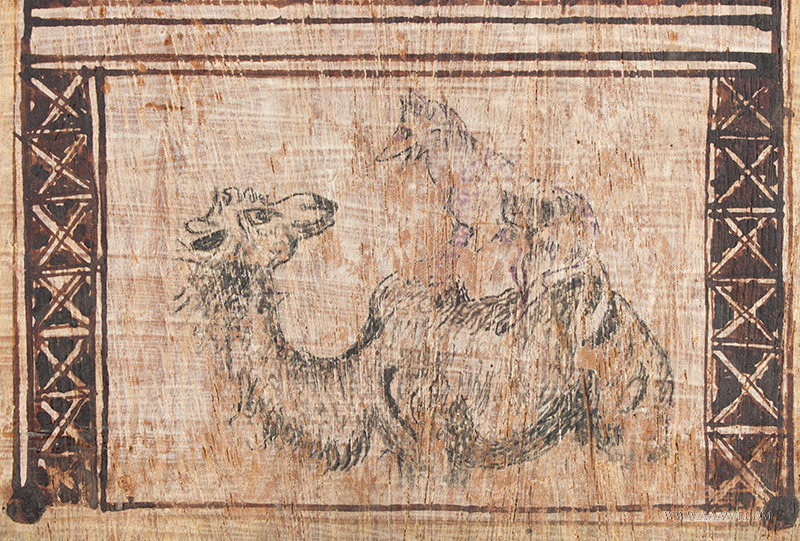 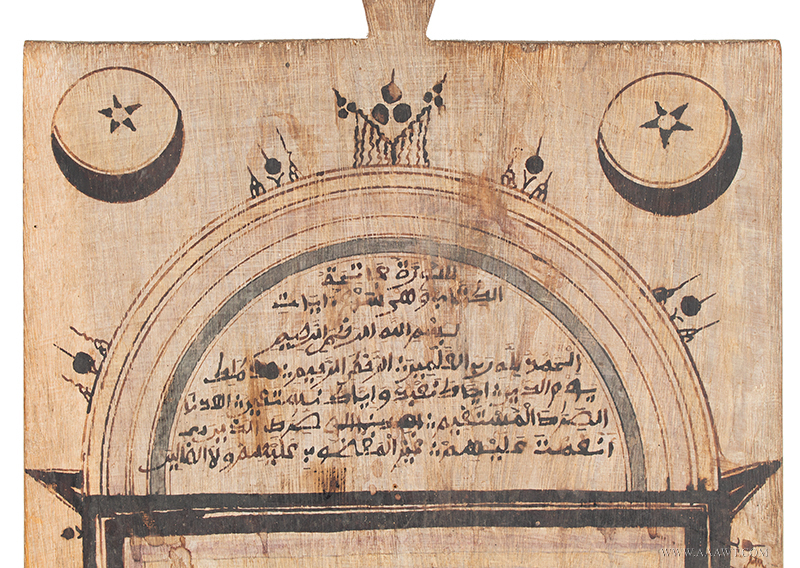 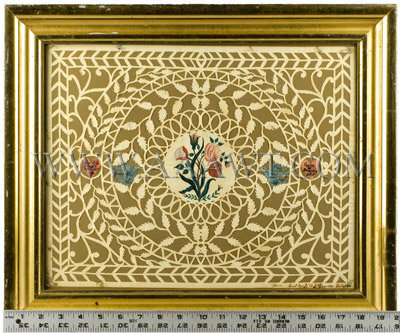 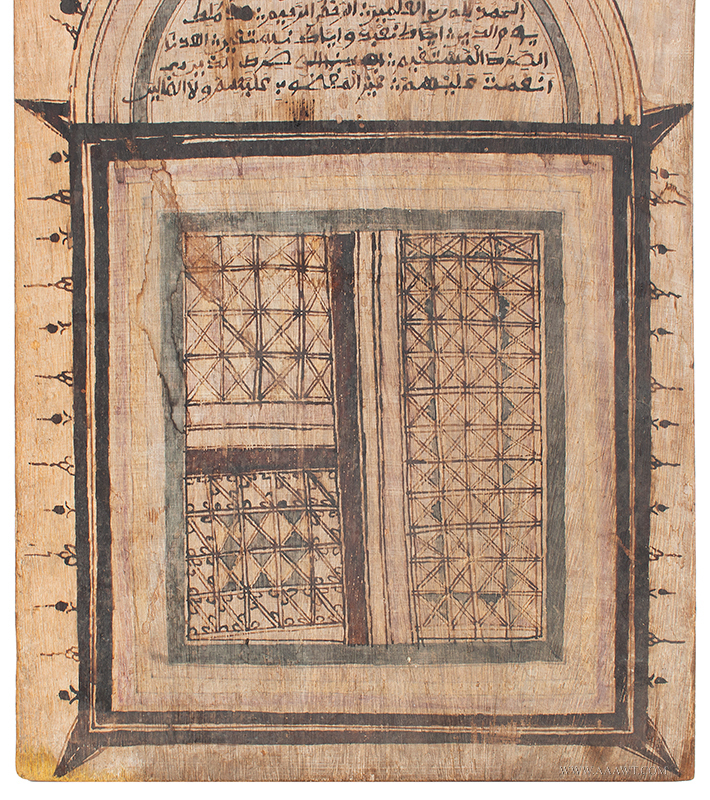 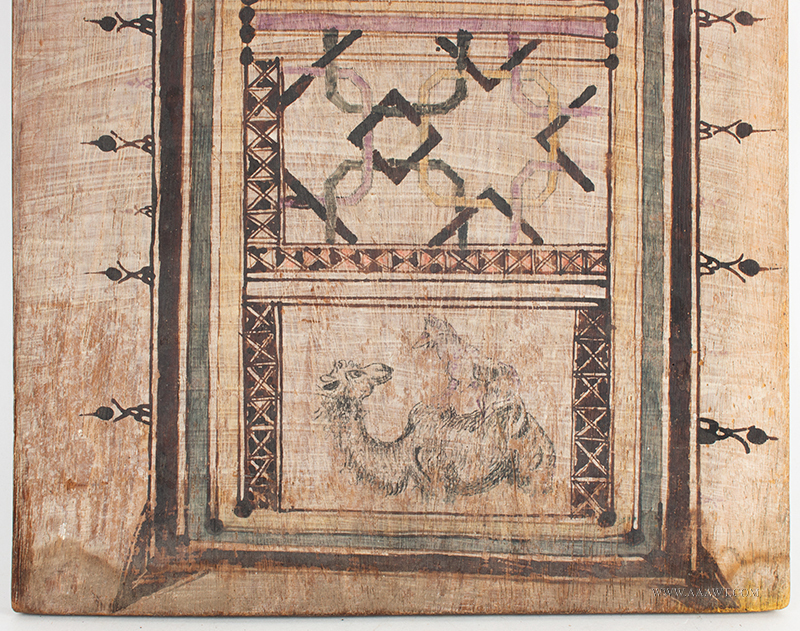 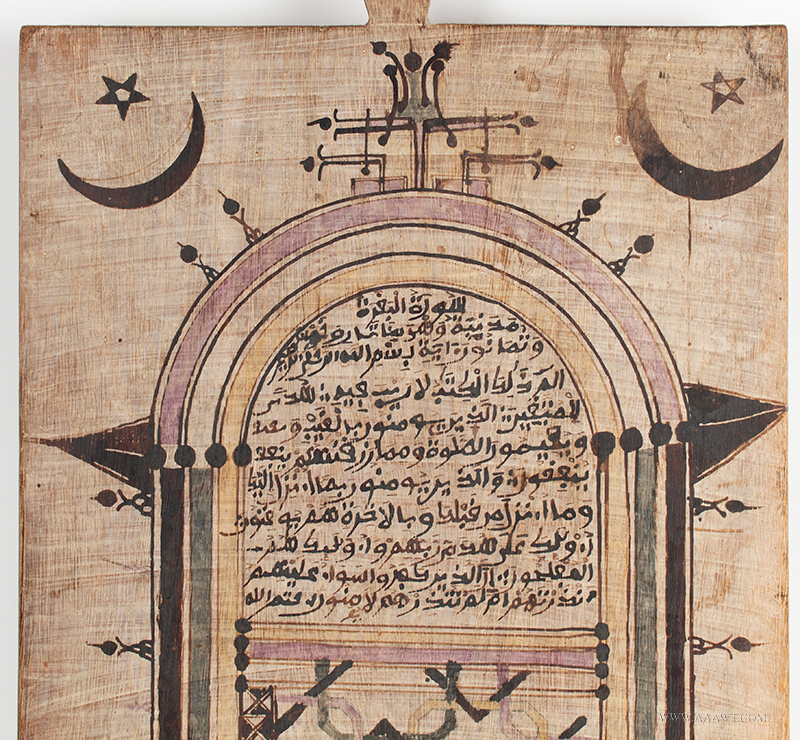 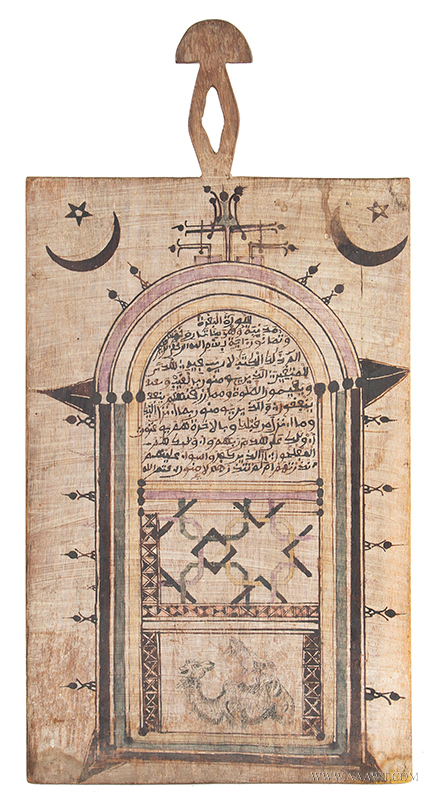 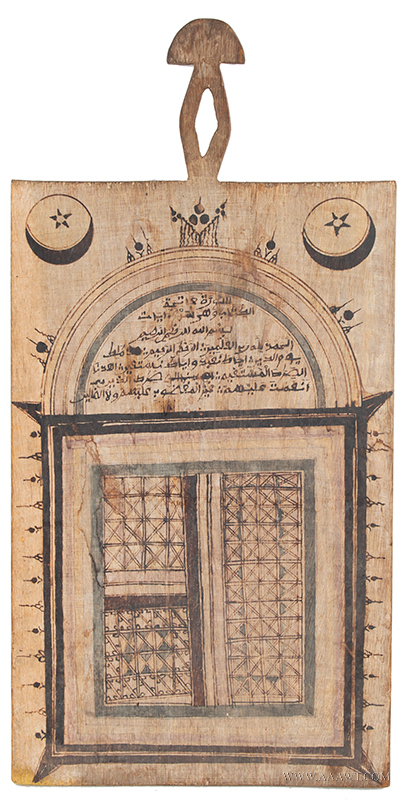 Largely an anonymous genre, it is quite rare to find a cutwork picture signed by its maker. 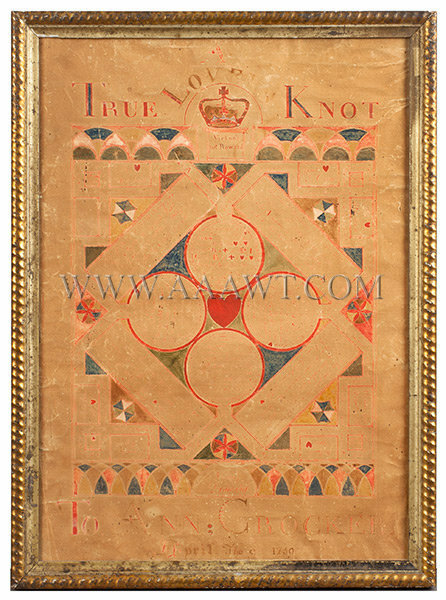 "When this / you see / remember me"
"Love / & / Friendship / J. H. P."
"Cut by J. W. Rogers, Batavia"
Very good condition, mounted within a period painted frame. 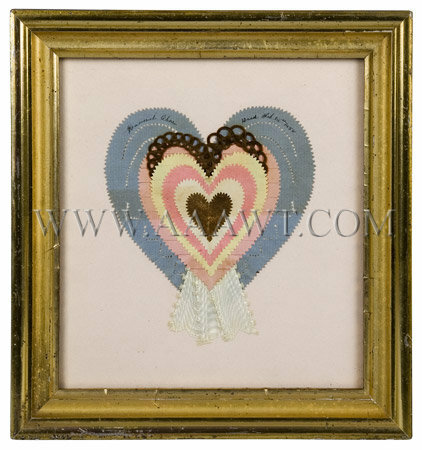 Dimensions: sight size 6.5 by 9-inches, frame 8.5 by 9-inches. 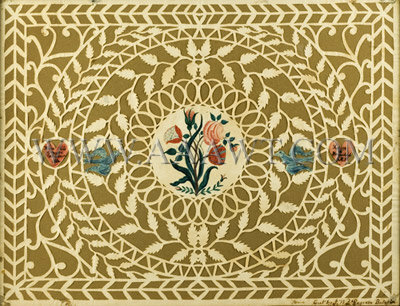 Exquisitely carved fruitwood knitting sheath. 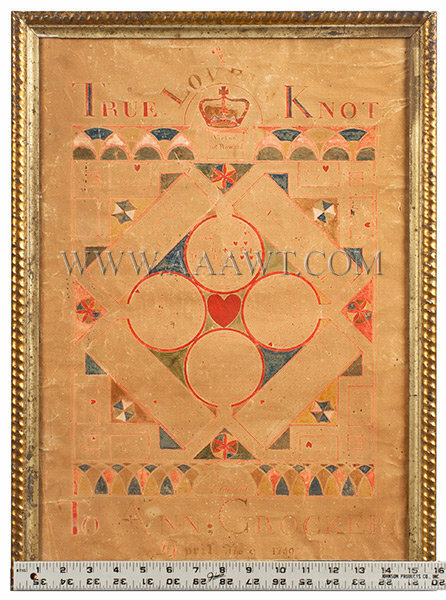 Dimensions: sight size 6.25 by 8.25-inches, framed 9.75 by 12-inches.